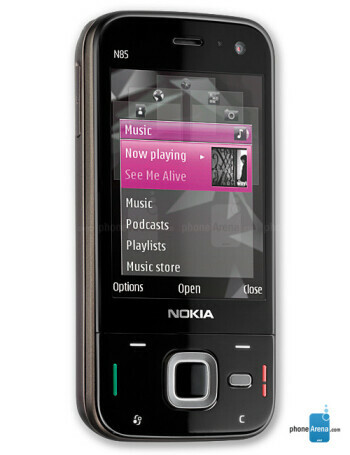 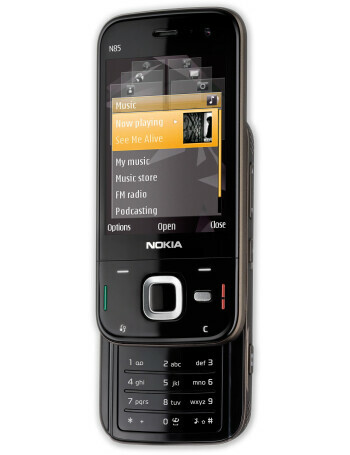 Nokia N85 is a two-way slider, revealing either a numeric keypad or music shortcuts, depending on the way it is opened. 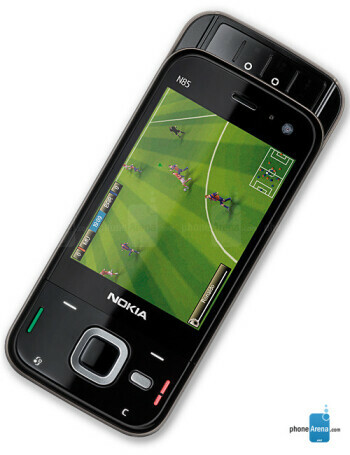 It is a Symbian S60 smartphone with 2.6” OLED display, 5-megapixel camera with Carl Zeiss lens and N-Gage gaming platform. 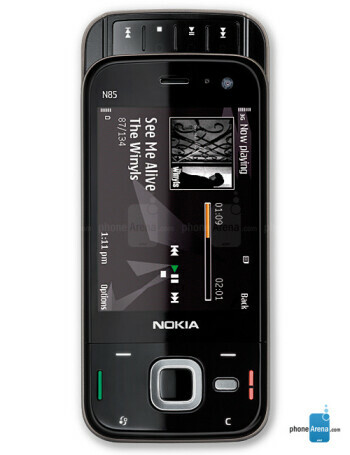 For music it has 3.5mm jack, stereo speakers, stereo Bluetooth, FM transmitter and radio.